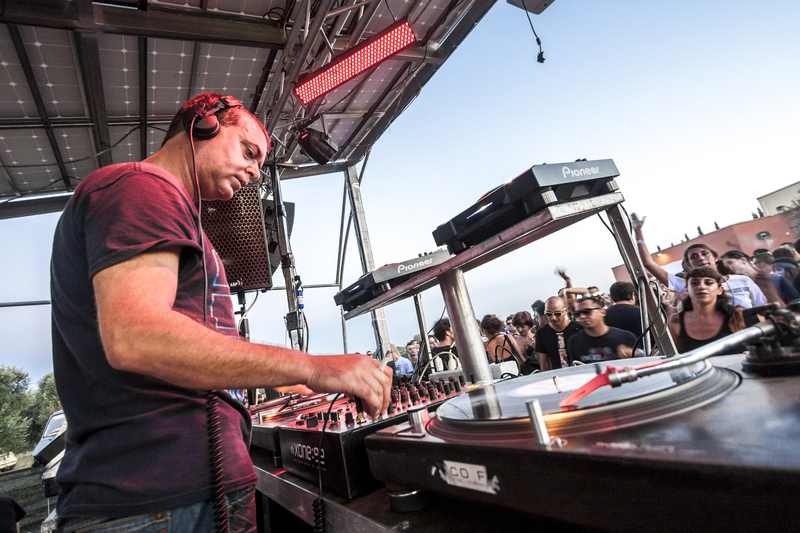 ‘Rise & Shine’ is Substance aka DJ Pete’s first new material in over 20 years. Different in approach to those seminal EPs on Chain Reaction, the title track sees the German producer weave together hollowed-out, spiky drums and melancholic melodies. 'Countdown' is more robust, resonating to the tough broken beats that define Pete’s Wax Treatment residency, before breaking into deep, reflective chords. 'Cruising', meanwhile, is a linear affair that resounds to grainy kicks and eerie soundscapes. It’s a somewhat understated comeback, but that’s exactly how Pete rolls. Heinrich Dressel, on loan from his own Minimal Rome imprint, teams up with Goblin bass player Amorosi for a wonderful dark disco/soundtrack release. From the dramatic, string-led groove of 'Naked Body Found In Campitelly', to the deeper techno shades of 'Thassete' into the mysterious soundscapes of 'Tema di Monika' and the chugging disco of 'Kasili 67030', this release will appeal to fans of Legowelt’s Squadra Blanco project. Aubrey has always brought an otherworldly sensibility to his music. It means the UK producer stamps his unique identity on a range of styles, and ‘Gravitational Lensing’ boasts this aesthetic in spades. From the drones of 'Aerglo Visible' and the dusty broken beats of 'Floating To Rigel', as well as on the dubbed-out techno groove of 'Journey To The Blue Planet (Part 2)', and tougher tribal workouts such as 'Saros Cycle', dissected vocal samples, layered tones and sci-fi bleeps are prevalent. Sias follows 2016’s ‘Milk Harbour’ with this banger for Jheri Tracks. ‘May 1932’ is led by hammering kicks, a pitch-bent rave riff and a monstrously powerful bass. Despite being direct, it still has enough personality to ensure it stands out from standard club techno fare. On the flip side, he opts for a different approach; the subs and drum beats kick hard, while Sias conjures up a noisy riff that is sure to gain attention. Gigi Jikia aka HVL has been busy of late, delivering his debut album and a series of EPs. The latest single, on Tabernacle, sees him conjure up an impressive fusion of warbling acid and moody electro drums on 'Tea & Sympathy'. Meanwhile, 'Dirty Hardwood -Vox' sees him opt for a different approach, fusing lithe breakbeats with raw analogue rhythms and the kind of deep burnt 303 line that would make Woody McBride blush. 'Inhabitable Earth Analog' isn’t as visceral, but its 303 elements, aligned to an evocative chord sequence, builds to an impressive crescendo. No one does techno like Convextion. The US artist originally took inspiration from Detroit artists, but he now owns a domain where spacious grooves and atmospheric textures come together seamlessly. On this release for Don Williams’ Artless, the first untitled track is deeper than the Mariana Trench, as wave upon wave of spaced textures unfold over a solid, resonant rhythm. The second untitled track is even more impressive, with Convextion dropping a more evocative arrangement, characterised by his chillingly beautiful synths. 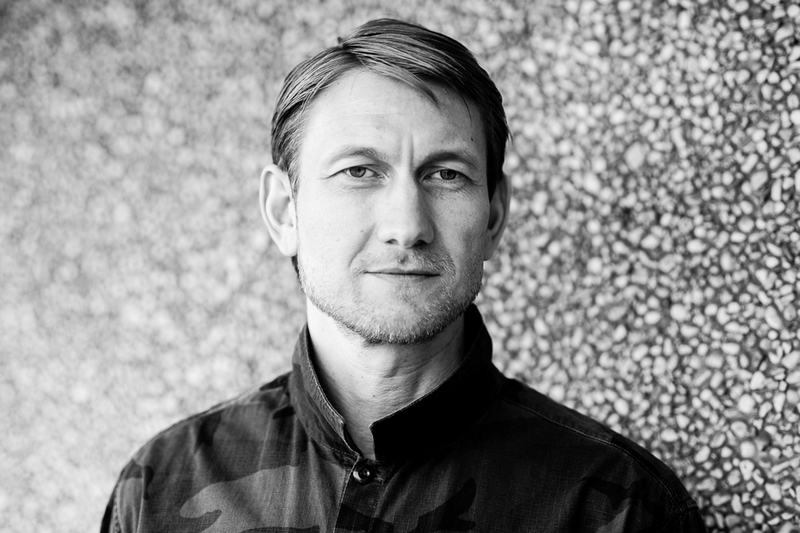 Rand’s annual state of the nation address is a compelling one: it sees Reptant drop an acid-heavy breaker on 'First Contakt', before the release swerves in style thanks to Tim Schlockermann’s catchy electro-techno track, 'Multitude'. Lou Karsh’s 'Reacher' is a more dreamy affair, thanks to its wonderfully spacey synths, while CRC’s 'Influence Device 001’, which was originally released a decade ago, makes a re-appearance here in all of its somnambulant glory. Canadian imprint Solar Phenomena has already released music by respected producers STL and Mystica Tribe, and now welcomes Tr-One. Both 'Fog And Chocolate' and 'Expectations Of Love' are evocative pieces of home listening electronics, but the dancefloor tracks impress most here. 'The Swim Meet' sees a seamless fusion of deep keys and wobbly acid bass, while Lerosa’s remix adds a rumbling bass and eerie synths, propelling 'Swim Meet' into the cosmos. The fourth in the ‘Eel Behaviour’ series is also the most visceral: I Hate Models’ ‘The Suffering Self’ is a nihilistic peak-time slammer, while on ‘I Am He’, Dave Tarrida delivers a noisy, broken beat workout, resounding to acrid 303s and dense, pile-driving percussion. The first EP from the Ambulance pair also marks the debut release on the festival affiliated-Open Ear label. Fittingly, ‘Caitríona Chéile’ is a wiry piece of electronica, peppered with euphoric stabs, while on 'Douche Noir', they drop an effective, albeit left-of-centre, acid techno track. Great to see that Plaid have not lost their magic touch, turning Oliver Way’s 'Dust Storm' into a kaleidoscope of colourful, evocative melodies and tight electro drums. Exzakt and BFX also impress with their no-nonsense, frenetic take on the same track. 1. Planetary Assault Systems 'The Grinder' Machine Records "Hard and dirty groove from Mr Slater." 2. As One 'Asa Nisi Masa (Juan Atkins Remix)' Garage Hermétique "Kirk Degiorgio gets a proper seeing over by Mr Atkins, lovely." 3. Aubrey 'Elara Passing' Out-Er "My selection from my new album 'Gravitational Lensing'. This was recorded in 1996 with a 909, 727 and a Juno 60 — simple, but still works today." 4. GE-OLOGY featuring Sonya Distel 'Re-Fingered With Love' Salsoul "New rework of Candido, 'Thousand Finger Man'." 5. Hashim 'Al Naafiysh (The Soul)' 45 Edits "Three hundred limited press of the classic early '80s electro classic." 6. Don Gardon 'The Phase' Textures Records "Hot, funky and deep action from Mr Don Gardon." 7. Dan Curtin 'Population 111/Redshift' Bosconi Records "Smooth techno from the master Curtin on the excellent Italian label Bosconi Records." 8. Elbee Bad 'Sock It To Me' Solid Groove "Amazing EP from the legend Elbee Bad, all styles covered here." 9. Mark Ambrose 'Smoky Clinic' Crayon "Classic re-issue. Rare and hard-to-find 12” from the '90s." 10. The Sect3000 'Blaupause' Basic Moves Records "Well-produced peak time deep techno, recommended."